Ever have a Microsoft SQL database in development that you have locked down and you want to move to production, or in my case, you have a new development environment that you want to move to. 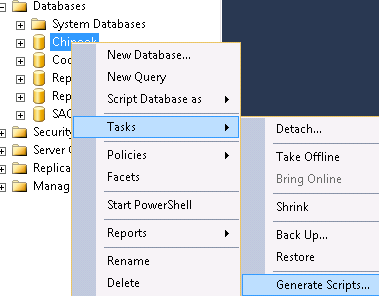 I will show you how to export your database to a simple SQL script that can be executed anywhere. Note: the Screenshots are based off the SQL Studio Management Studio 2012 but the 2008 R2 is very similar, just ask if you cannot find the options. From the Set Scripting Options, click on “Advanced”. Data Only – This generates the insert statements for the data contained in the tables. 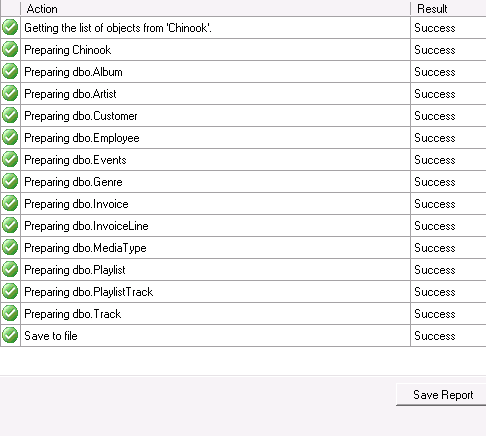 Example of where this is useful, Entity Framework code first, rebuild the database off the model, this script can be run to load the data back into it. 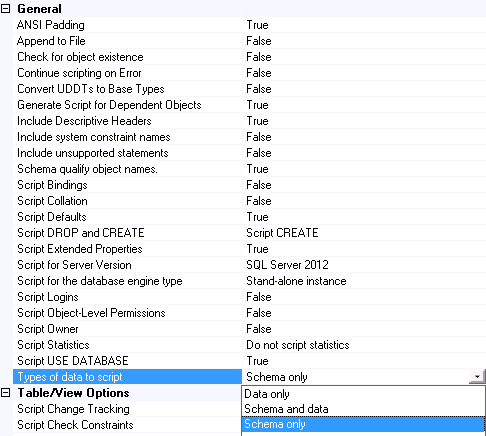 Schema Only – This generates the database structure only. This includes Index’s, primary, Foreign keys and so on. Example of where this is useful, moving a database from development to production or an application that shares the same structure but the data is different between environments. You are now done, take your script to the other database and run it. This entry was posted in Database and tagged SQL, SSMS. Bookmark the permalink. Many thanks. For 2012, there is a lack of general advice on how to export with data.